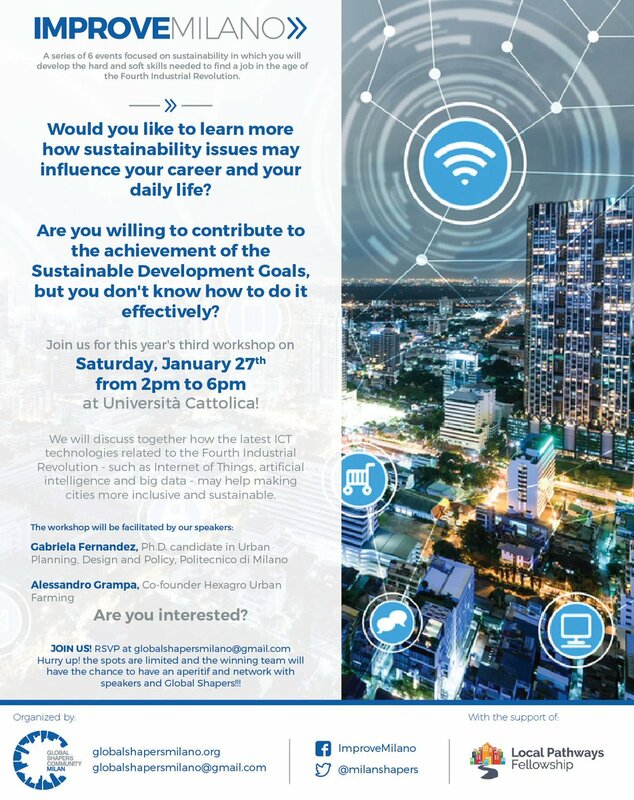 SAVE THE DATE: Join us Saturday, January 27, 2018, in Milan, Italy, as one of our co-founders, Gabriela Fernandez will present on the importance of ICT technologies related to the Fourth Industrial Revolution! Metabolism of CIties: Pathways to Progressive Sustainable Development Planning, Design and Policy. Providing tools and methods to policymakers one step at a time in order to localize the United Nations Sustainable Development Goals by 2030!